The Cascade is our alluring two-bedroom two-bathroom floor plan that opens up with one of our largest living room and kitchen spaces and offers expansive bedrooms throughout the entire apartment home. 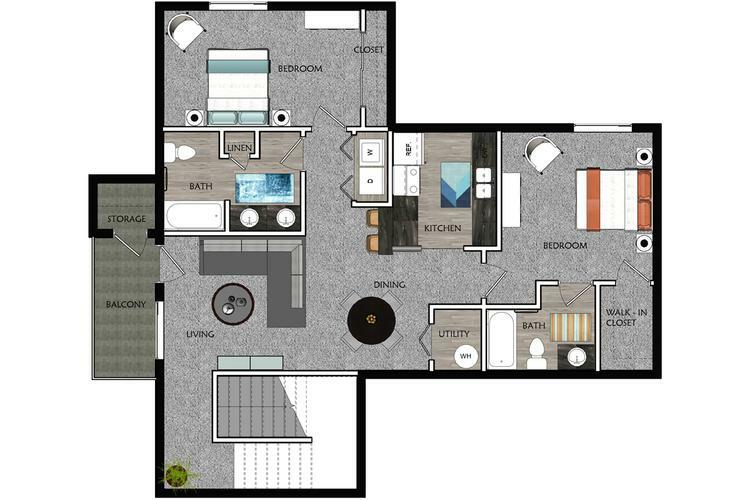 Featuring a walk-in closet and abundant storage space this split floor plan is one of our most accommodating two-bedroom floor plans. This 2 bedroom apartment in Peoria, IL also offers a full size washer and dryer. 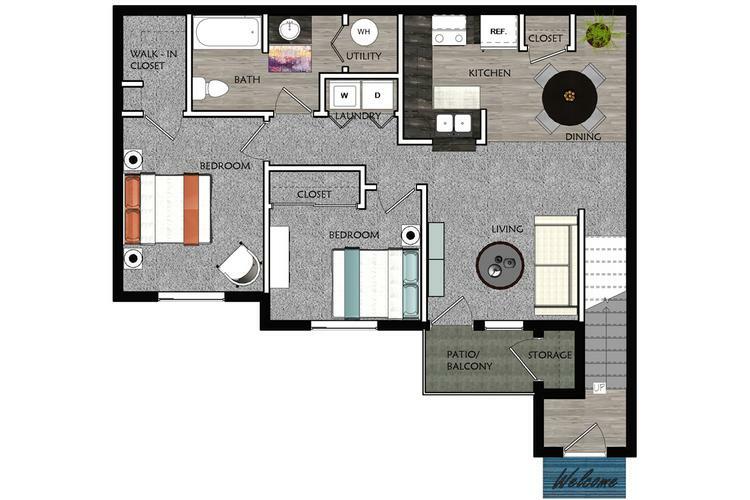 The Hudson is our roommate style two-bedroom two-bathroom floor plan with spacious bathrooms, a walk-in closet, and a centrally located patio or balcony in each apartment home. Featuring an expansive living room and kitchen the Hudson offers ample living space, easily making it one of the most sought-after floor plans. 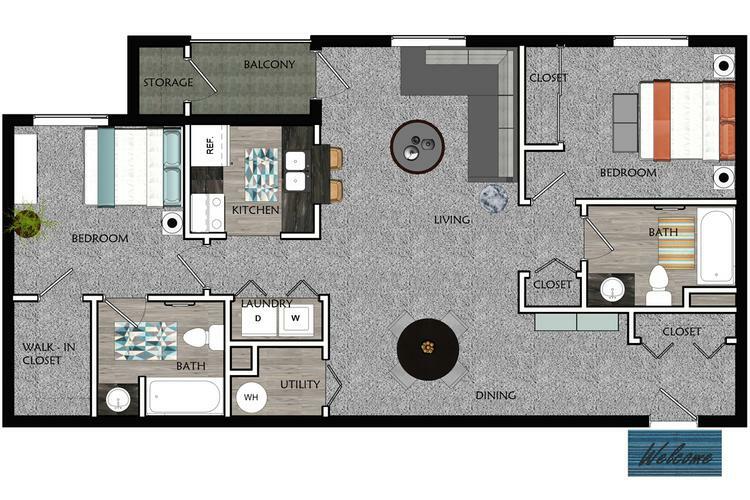 This floor plan also features a full size washer and dryer. The Jordan is our charming two-bedroom floor plan that offers an oversized kitchen and open dining room that creates a warm and inviting atmosphere. This one of a kind floor plan features a private walk-in closet and expansive bathroom shared between two private bedrooms. With the comfort of a private patio this floor plan is sure to offer exceptional living.